Bradley Cooper could star in an AutoZone commercial and it would win an award. Since bursting onto the scene in 2009 with The Hangover, Cooper has been Hollywood’s “It Man”. He might have started off his super-stardom a little shakily: All About Steve, Valentine’s Day, The A-Team, Limitless, and the other Hangover movies. But since those, he’s been on a tear. The Place Beyond the Pines, Silver Linings Playbook, American Hustle, Guardians of the Galaxy, soon to be Serena, and most recently American Sniper; all high-quality films, some phenomenal, with Cooper showcasing an unparalleled talent in each. I’m not quite ready to name him the next Brad Pitt, an actor who’s got the looks for the heartthrob roles and the chops for the dramas, but man, he’s gotta be close. 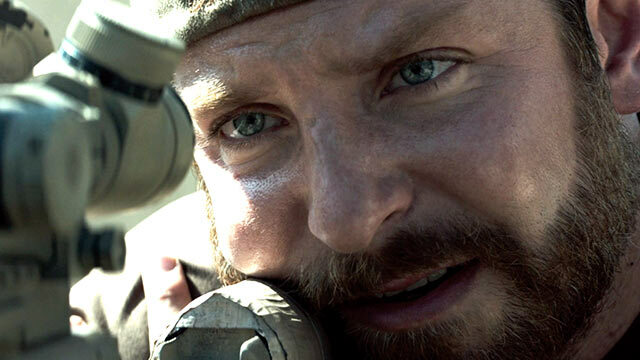 In American Sniper, Cooper plays real life super-soldier Chris Kyle, a Navy SEAL sniper who became a legend in his own time. Kyle was a Texas boy, a hard-nosed kid, a rodeo cowboy, a shepherd of the weak, as his father so succinctly put it, a tough guy through and through. Later in his life, Kyle would feel the call of duty and join the armed forces, wanting to protect his country and the one’s he loved from the threat of terrorism. And so off to Iraq he went, leaving a wife and growing family behind. In that warzone, he would become the best sniper in American history, logging kill after kill, protecting the soldiers whose job it was to go door to door in the most dangerous place in the world. Kyle was a hero, but back home his life was crumbling, as he couldn’t handle leaving the fight behind, returning for tour after tour, never putting the killing behind him, always carrying it with him. 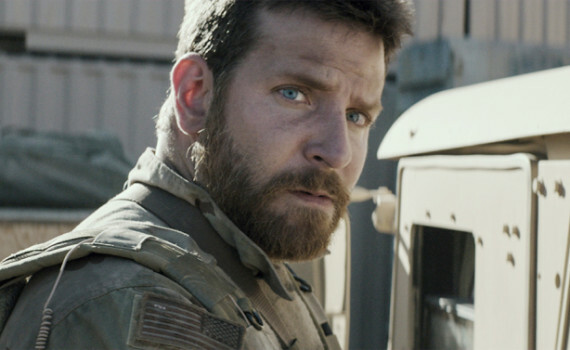 Bradley Cooper can, apparently, do no wrong. Here he takes on a super-serious role, bulks up, harnesses an accent, plays a real life hero, goes through boot camp, and bares his soul in almost every scene. And does it work? You betcha. He’s a great talent, pure and simple, and can do whatever is thrown at him. This could not possibly have been an easy job, not for any actor, and yet he immerses himself into the character and doesn’t hold back. With every line there’s subtext, emotion bubbling under the surface, a tough guy trying to hold it all together, and not once does Cooper play the feel-sorry-me card. He’s strong throughout, showing how difficult it must be for a soldier to hold on to that strength in the face of just terrible reality. You just look into the guy’s eyes and see true emotion; something you can’t say about every A-class actor. But sadly, the film itself lets him down a little. Clint Eastwood has a penchant for the over-dramatic, and you’ll see that here. In the scenes where Chris Kyle is speaking to us without words, those are the best moments. When the script gets dramatic and the dialogue gets heavy, that’s when things start to fall apart. There are just too many Hollywood elements, too much expected action, and, for my taste, a little extra pandering to an American audience who might not enjoy the bare bones of what this movie could have been. And, oh yeah, Sienna Miller can’t act. She was just terrible, sounding like a megaphone stuck on cliche mode, saying every stupid thing that any sad person has ever said. Not all her fault; the director & the script told her what to do & say. But she didn’t sell it, and she becomes just another example of a weak female part thrown into a movie and guaranteed to fail. 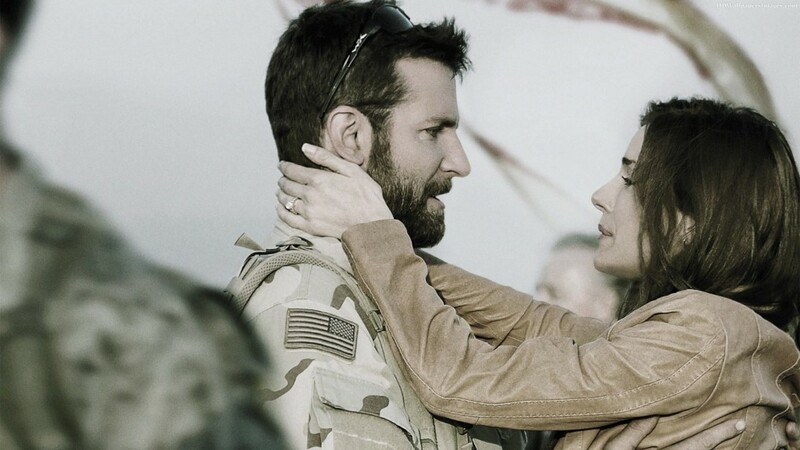 Taken as a whole, American Sniper is a good movie with a great actor, one that doesn’t deserve the Best Picture award it was nominated for. Cooper deserves his, and could actually win, proving that his talent is here to stay.